I would eat them in a box. I have always been a huge Dr. Seuss fan. Especially now that I am a mom of 3 kids. I have had such joy over the years watching my kids learn to read his books. And what fun we’ve had with the tongue twisters! 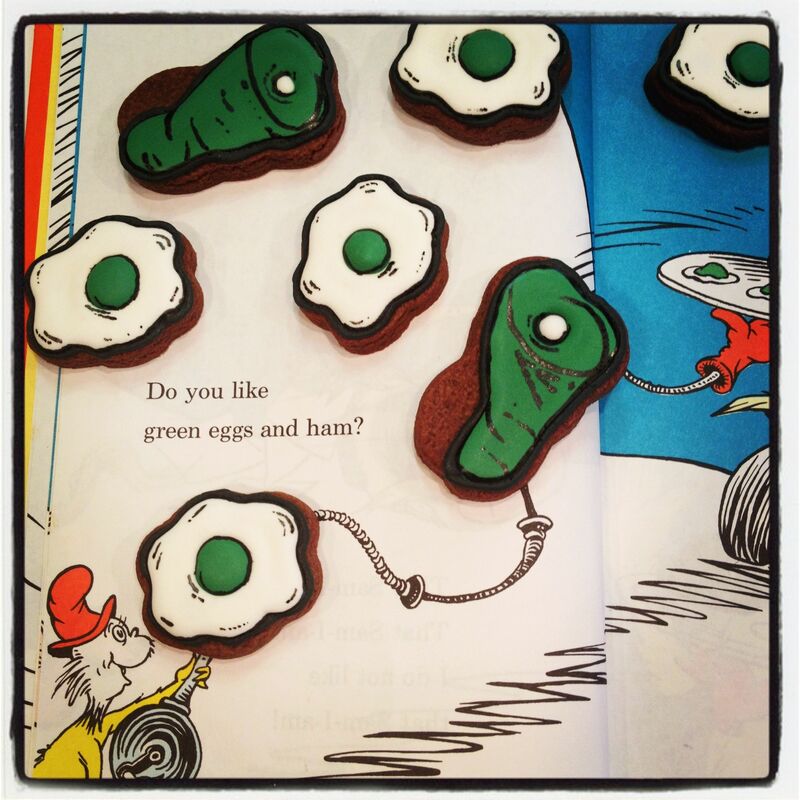 So in honor of his birthday, for my 6yo’s class at school, I made green eggs and ham. The kind that I would eat. Chocolate, covered in icing. Yes, Sam. I do like them. I hope you have a Seussy day!